Every nation of the world craves greatness, each strives to be better than the other in every aspect. Good things don’t come cheap, hence, the citizens work hard to achieve this goal through collective and individual efforts and sacrifices out of love for their country. The pace of development differs across countries, and no nation got it all, but certain countries of the world (the developing countries), Nigeria inclusive, need development more than others. Hence, there is need for us to be armed with the selfless readiness to pay the price of patriotism required to build a country we will all be proud of. As citizens of Nigeria, we have an obligation to be patriots, more than anything else; though the term 'patriotism' is relative, and may mean different things to different people. Whatever one defines it to be, patriotism is unarguably one of the most important ingredients for nation building. It is the love for one’s country and the willingness to sacrifice for it. Many pay lip service to this cause, and many more may claim to be patriotic. However, when these claims are placed side by side with the deplorable situation of the country, there arise such questions as: why are we here, despite the huge potential we have to be a great nation? And if all our claims are true, who/what brought us to this point? The Nigeria we have today is a product of our collective handiwork as a people and we are the ones who can make Nigeria great as it should be. It is true that Nigeria has been misgoverned for decades, and our ‘leaders’ played a major role in bringing our nation to her knees, yet, this is not an excuse for us to be blind to our responsibilities as good citizens and followers. If we summon courage to start doing things right, the ripple effects will be to our amazement. Imagine a situation where Nigerians begin to stand for what is right at all times - We don’t jump queues, we let go of quick gains in obedience to rules and regulations, we shun nepotism, we obey traffic rules, we dispose refuse appropriately, use the pedestrian bridges where it is available, pay our taxes, we don’t abuse power, we don’t cut corners at point of public services to delay others who don’t know ‘who’, we don’t produce and sell substandard items to innocent consumers, we don’t give bribe when it is even demanded, civil servants do their work with honesty and pride among many other things we see as insignificant. If you and I offend in one, we offend in all and we are not different from those we see as ‘bad leaders’ around. If we are willing and obedient, we will definitely eat the good of the land one day. From observation, I discovered that many Nigerians have lost hope in the country, and many believe that once they are ‘successful’ (through whatever means), they have no business in nation building. And so, an average Nigerian tends to blame every inadequacy in the country on the leaders, and question their commitment at any given time (this I did for many years). We are always quick to rain abuses on them and even criticize them ‘unnecessarily’. Quite a number of such criticisms are not even out of love for the country. Some are based on tribal sentiments, while others criticize people in leadership position because they could not get undue advantage from them. We are never quick to ask ourselves as citizens: are we playing our part effectively? And we never realize that leadership exists everywhere - in families, places of worship, communities and so on, and not only in government. We have developed the habit of throwing stones at our leaders when we are full of sins ourselves. It is true that to whom much is given, much is expected; but the patriotism to one’s country is not a virtue for the leaders alone as our attitude suggests; it is our collective duty to the nation. Many wish to be in the position of the persons they criticize. They think they are more competent to be in such position, as if leadership is a bed of roses, forgetting that it comes with sacrifices. If we research properly, we will discover that such people may not have the acclaimed capacity and may even be failing in the ‘little’ positions they already occupy, either as the family head or in any capacity that is not of public concern. I have had the privilege of leading a group of people in tens and hundreds both in elective and selective capacity, and in doing this, I can say I have developed a bit and I have learnt some lessons as well, but at the same time, I flopped in many instances - revealing to me how difficult it is to lead. I have not led a group of thousands of people directly, so, it won’t be totally correct to think that I have built the required trust and capacity to lead a state or a country at this point. Many would not put this consideration into perspective before making some costly assumptions. Inherent in leadership are challenges, which is why leaders carry out their tasks with the help of advisers and other aides for efficiency. But an average Nigerian who is bereft of any leadership experience tends to criticize to the point of boasting that they can do this and that, if given the opportunity. Yet, they may not even be managing their personal life affairs effectively. How would such person manage a state? This is not to say that we do not have able followers who are far better than our leaders, neither does it imply that we should give the leaders a pat on the back and not air our dissatisfaction when things are not done right. However, our criticisms should be constructive, offering useful ideas devoid of character assassination. In the same vein, anyone who wishes to aspire for a leadership position must first ensure that he/she has the required capacity, else we will continue to produce leaders without focus, and such leader will end up becoming a disaster waiting to happen from the onset. Every successful leader I have met and heard of are products of effective mentorship and proper developmental programme. that our children get access to quality education needed for the future they deserve, that our health facilities are functional and up to standardized to effectively cater for our health needs, that the necessary infrastructures be put in place to drive our growth as a nation. It is high time our politicians knew that Nigeria has made more than enough sacrifice by allowing you arm-twist us to make you the highest paid politicians in the whole world. Not even your counterparts from the foremost nations of the world can boast of the jumbo pay you are carving out of our common wealth for yourselves. We at least deserve results from our huge ‘investment’ in you. Nigeria has given you enough to make you steer clear of the little left for us to live on. And to anyone who hold positions of public trust who believe that they are clean, ask yourself; are you not in any way betraying the trust? Those who aspire to hold such positions, do you have the right motives for the position for which you aspire? Anyone that wants to build a tower should first sit and count the cost if he/she has sufficient resources to finish it. Do not be coerced into leadership, do not aspire to be a leader when you know you have a sinister interest to serve or when you do not have the passion for it. If you refuse to listen to the heart cry of the millions of Nigerians you are exposing to hardship on a daily basis, I will borrow the words of Segun Akinlolu to tell you that, one day, the table will turn. In spite of all these however, the followers have significant roles to play as well and we must live up to our responsibility for us to be on a higher moral ground to challenge the recklessness in the system. For instance, it is not the government who sells fuel above the pump price at filling stations, it is not the government who makes and sells fake and substandard products in our markets. Even if the government has a responsibility to ensure that things of this nature are checked, it would be better if we live by the law and not attempt to complicate the already bastardised system. The thugs being used by selfish and ‘powerful’ politicians are children of the commoners. Although, the high level of poverty in the land may have contributed greatly to some of these menaces and anomalies, but that is not and should not be an excuse for committing crimes against the country. If there is no one available to be used, the resultant effect will be obvious. These so called ‘leaders’ have relatives, and friends as well, and if these people do the right thing and are not afraid to tell them the truth, wicked and reckless leadership will be checked. trust and are often ‘rightly’ blamed for Nigeria’s woes do go to places of worship, if they are being served with the truth always and not being indulged in certain ways, there will definitely be changes. If our pulpits focus on preaching the truth irrespective of the personalities on seat, there may soon be nowhere to hide for saboteurs among leaders and the led. These are some of the huge contributions we, as good citizens can make towards achieving a great Nigeria. In conclusion, the best time for us to build the Nigeria of our dream is behind us already, and the second best time to come together and work for Nigeria’s prosperity is now. This is not the time to pay lip service to our father land. We’ve had 16 years of interrupted democracy, and here we are as a nation today. 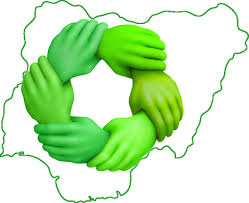 In spite of the abounding challenges, Nigeria still has the potential to be great. We can be more than the ‘giant of Africa’. We have a new government that needs our support and prayers to succeed. Nigeria must not be left to become the country eternally hated by her people. Let’s not allow saboteurs to divide us with ethnicity. We must all frown at bad leadership and stop the madness of supporting bad leaders whom we benefit one way or the other from. Most importantly, let’s pray for our leaders and the country to surmount all her present challenges and stop portraying Nigeria as bad. When we pray, let’s also believe and be hopeful. Rome was not built in a day. If we all play our part, the dry bones of Nigeria shall rise again. The Nigeria we long to see is possible, it begins with you and me. So, help us God. Ayorinde Olowosile Copyright © 2015. Picture Window theme. Theme images by rion819. Powered by Blogger.